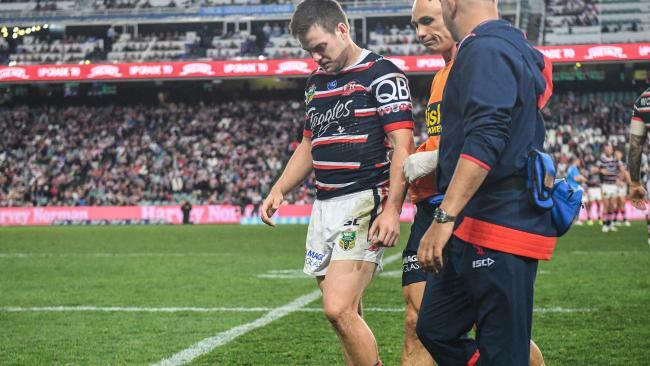 THE Sydney Roosters are confident Luke Keary's knee injury won't derail their run to the finals after he suffered suspected medial damage. Keary limped from the field in Sunday's 36-18 win over St George Illawarra, and was taken for immediate scans. And while it's believed they showed damage to the left knee, coach Trent Robinson is hopeful it won't sideline his five-eighth for an extended period. "He's got the brace on as a precautionary," Robinson said. "I don't think it's anything too bad. But I don't know how long it will take to turn it around. 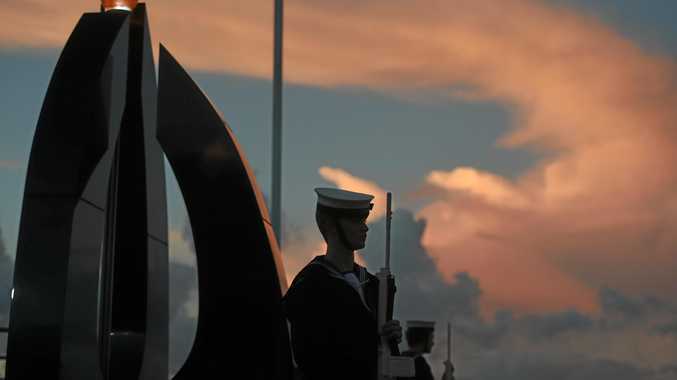 "It's obviously a concern but I don't think it's a long-term concern." The injury is expected to see Keary miss at least next Saturday's clash with North Queensland, before they play South Sydney the following week. "I don't know. I think I've been wrong here before on some players and playing the following week," Robinson said. "I felt like he knew it was coming on and he adjusted a bit. "When an outside back comes off, it's usually something wrong. Especially a player like Luke I don't think he's come off much at all." If he is to be ruled out, Sean O'Sullivan would shape as his most likely replacement or potentially Ryan Matterson. 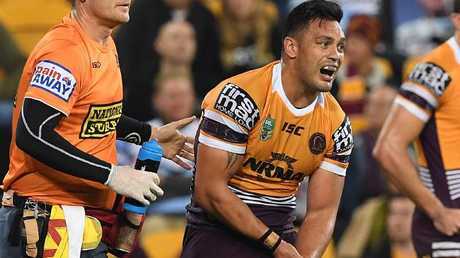 Alex Glenn was injured in Brisbane’s win over Cronulla. 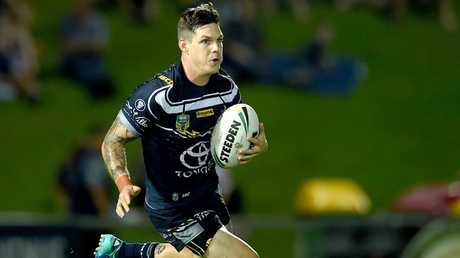 Ben Hampton is in doubt.